There are alternatives to detention which would allow Malta to stop detaining unaccompanied migrant and refugee children in line with its political commitments. That is the message included in reports recently published by international organisations and civil society in Malta. Children arriving in Malta in an irregular manner are initially detained and only released following vulnerability identification procedures. There are no time limits for early release on grounds of vulnerability and, in practice, this means that unaccompanied children have been detained for anywhere from a few days to 4-5 months during age assessment procedures and pending release. Families with minor children are usually released within some days. While in detention, minors are detained with adults, at times facing tough detention conditions in closed centres, some of which are lacking basic minimum standards in several respects. In March 2014, the Prime Minister made a public statement during a political rally celebrating Freedom Day, to the effect that children should not be in detention. He has reportedly reaffirmed this political commitment on subsequent occasions and also identified the Junior Minister for Family and Social Solidarity as one of the focal points to enable this commitment. However despite some subsequent positive developments, children are still detained in Malta. UNHCR and IOM believe that alternatives to the immigration detention of unaccompanied children are available and should be developed in Malta. In a joint report on the protection for unaccompanied migrant and refugee children, the organisations recommend that Malta review its system of reception, currently based on detention, and consider “establishing a national reception model which includes a separate track for the identification, assessment, reception and care of unaccompanied migrant and refugee children”. While this is a medium terms goal, the Prime Minister’s commitment also needs to “translate into concrete adjustments of current policy and practice in the short term,” the report states. 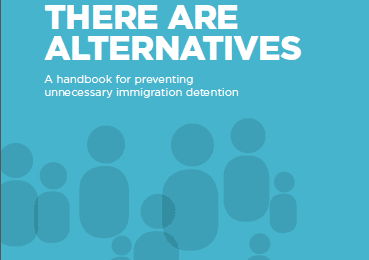 IDC member Aditus also believes that alternatives to the immigration detention of children can and should be pursued in Malta. In its recent report on age assessment procedures and guardianship for unaccompanied minor asylum-seekers in Malta, Aditus welcomes the introduction of a new assessment procedure which is to be completed within 10 days, in an effort to reduce the time that children are detained. However, it emphasises that children should never be detained for reasons relating to their migration status. “One alternative may be to transfer persons claiming to be minors to an open or semi-closed centre pending age assessment,” the report suggests. “In light of the current on-going government discussions to end detention for minors, any reforms to age assessment procedures must be made in view of a policy of no detention for minors,” it adds. Aditus has also published input to a new a new Child Protection (Out of Home Care) Bill which proposes significant reform of Malta’s system of care for children, including unaccompanied migrant children. The Bill appears to provide that children will no longer be detained during age assessment procedures. However, Aditus remains concerned that the time frame prescribed by the Bill does not sufficiently take into consideration the asylum context and “will result in unacceptable delays and periods in detention for unaccompanied migrant children”. 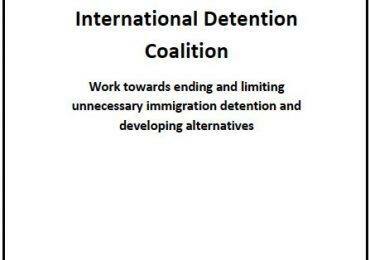 The IDC joins civil society and international organisations in encouraging the Maltese government to implement the Prime Minister’s commitment to end child immigration detention as a priority and stands ready to assist in this regard. This would require developing alternatives for both unaccompanied children and families with children.